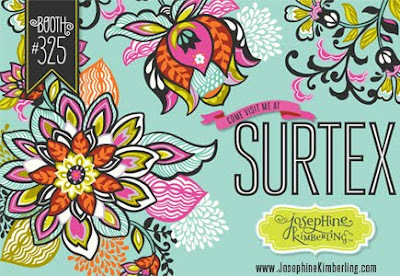 also showing a surtex next month is the super talented josephine kimberling and these are a selection of her lovely surtex postcards. 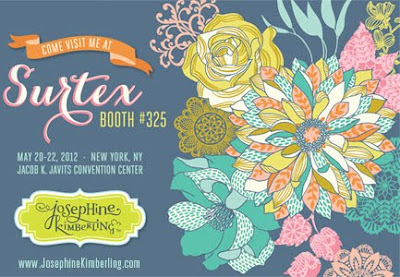 this is josephine's 2nd year, and she will be exhibiting in booth #325, with some fabulous new work. 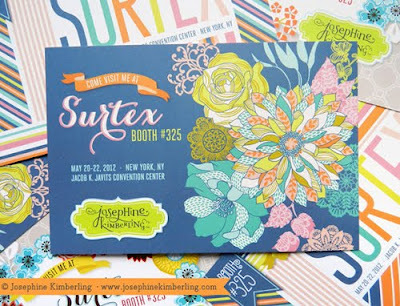 her story also shows the value of the surtex show to the designers, as since her first time exhibiting at Surtex, josephine has signed 5 contracts and her artwork will soon be appearing on high-end stationery, office organization, fabrics, business card holders, tote bags, giftware, notebooks, and even edible cake papers (as seen below). 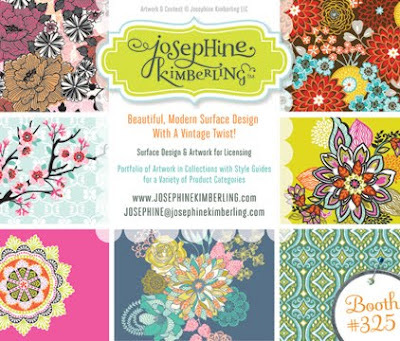 i love josephine's work!! 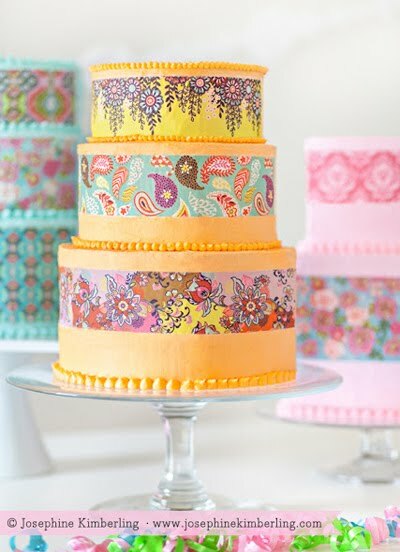 always so bright, fresh and fun!